The state of NJ Department of Environmental Protection recently sent a letter (letter dated March 4, 2011) to all NJ certified radon measurement professionals to address items of non-compliance with the regulations for Certification of Radon Testers and Mitigators at NJAC 7:28-27. Apparently, the NJ DEP has been made aware that there have been issues with the certified radon technicians, most of which are home inspectors. Much of, if not most of the residential radon testing in NJ happens during a real estate transaction. 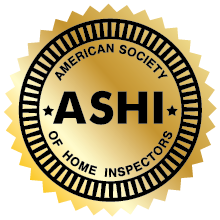 The better/ethical home inspectors have been battling with these issues for years, and continually explain to potential buyers whey the cheap home inspectors are so cheap and what the differences are. This is because the services offered by are different, read on. Issue: Some home inspectors and realtors are signing waivers that release test results to individuals other than the homeowner. Requirement: When radon testing is being performed, only the homeowner, unless it is part of a real estate transaction, then the potential buyer, may receive the test results. No other person can receive a copy of the results. The results are confidential. The exception to this is if the homeowner signs a form that waives confidentiality of the test results. This waiver must be signed by the homeowner only. No other person may sign a waiver. Translation: Home inspectors who are also certified radon technicians are breaching confidentiality requirement by sharing results with stakeholders such as real estate sales people and subsequent buyers when the first deal falls apart. ACE has been asked to provide this information by real estate people for their new deals or listing. We say no to them and have been called arrogant and worse for doing the right thing. But they are unethical. Issue: Uncertified individuals are conducting all or part of the radon test during real estate transactions. Requirement: A buyer must hire a certified radon measurement professional when testing a home that is under contract for purchase. The buyer does not yet own the house and is precluded from performing any portion of a test (e.g., picking up the canister and mailing it to the certified radon professional, etc.). The certified radon professional is responsible for the entire test. Similarly, the current homeowner may not perform any portion of the test that a buyer contracts since the buyer contracted for the test, not the homeowner. In addition, a real estate professional cannot perform any portion of any radon test. Any radon test that is performed as part of a real estate transaction where the above criteria are not met would be deemed invalid and would have to be repeated. Translation: Home inspectors who are also certified radon technicians are allowing homeowners and real estate sales people to send the test canister back to lab to avoid having to go back to house, saving time and money for them, and short-changing the buyer. The home Inspector / radon tester is in breach of duty to buyer as has to insure the test is not tampered with, and closed house conditions are present at end of testing. However, if the certified testing individual is not there at the end of the test this is impossible. Results are not certifiable. The buyer’s interest is not served. Many times when test a seller’s house for a buyer for radon and the levels read high, they are shocked as it was low when their inspector tested when they bought and believe our results are wrong. However, radon levels cannot have a false positive, only a false negative. Closed house conditions apparently were not maintained during the test, or the owner put it in the garage until they sent it back to the lab or gave it to their sales person. Issue: Measurement technicians are using devices that have not been reported to their affiliated businesses. Requirement: All radon measurement devices are required to be listed by the measurement business as part of the application process. The CRMs and electret readers in your possession must be reported to your affiliated measurement business prior to use. It is the responsibility of the measurement business to ensure that all of these device types listed with them are calibrated annually and that proficiency is passed annually. Translation: Home inspectors who are also certified radon technicians are using their own devices and acting as their own lab/ as a radon business when they are not. Issue: Monthly report data shows instances in which the same radon professional is listed as the sampler at two completely different locations at the same time and date. Requirement: The certified person is responsible for the use of his/her certification number and must ensure that it is not used by another person on any chain of custody form. You must use the exact chain of custody firm provided by the affiliated measurement business and it must be tilled out in the field, completely and accurately, by the certified person. These forms cannot he pre-printed with times and dates. Translation: Inspection companies with multiple inspectors are taking improper shortcuts to allow possibly uncertified individuals to retrieve testing canisters, saving time and money for the company and short-changing the buyer with uncertified/untrained individuals taking part in the testing process. This is a breach of duty to the buyer. Results are not certifiable. A buyer pays for this with a cheap inspector/tester. Issue: Conditions are not maintained for some radon tests. Requirement: Closed house conditions are when all exterior doors and windows on all floors of a house are closed, except for normal entry and exit. For a test that lasts less than four days, these conditions must exist for 12 hours before the start of the test and for the duration of the test. If a test lasts four days or longer, the 12-hour period is not a requirement, but is recommended for tests up to a week. Tests lasting longer than 90 days do not need to meet the closed house conditions requirement. It is a certified radon professional�s responsibility to properly discuss closed house conditions with the homeowner and to ensure that closed house conditions are maintained. Translation: Home inspectors who are also certified radon technicians are not providing guidance to the homeowner to insure closed house conditions are present for the testing. Many real estate persons believe that windows in the house can be left open, and only the basement windows need to be closed. (After all, does not a buyer want a low test reading?) This invalid test produces non-certifiable test results. Better home inspectors have been speaking with the real estate people about this for years, some of them get it, many don’t, don’t want to accept the rule, as don’t believe it. No wonder, many real estate referred inspectors rarely discuss testing protocol as required. The tester is breaching his /her duty to the buyer. Non-compliance with the regulations at N.J.A.C. 7:28-27 may result in enforcement and the possible assessment of a fine. If you have any questions, please contact the radon office at (609) 984-5543. Translation: Watch who refers your home inspector, watch for conflicts of interest. Do your homework. Caveat emptor! Very good video! I just bought a 12-year-old home that showed a radon level of 7.4! My husband and I discovered this after we paid for a home inspection. The radon test itself cost us $150 extra. We asked for $1,000 off of our final bid or asked the current homeowner to install the mitigation system. We ended up getting $1,000 off. Now, we are moved in and are working toward looking into a mitigation system. The average cost where i live for one is $1,400. If you got an estimate for mitigation before closing, you would have known it would cost $1400 and not have to had paid $400 out of pocket.